Before there was Allo and Duo, before Hangouts was unveiled, there was Google Talk. 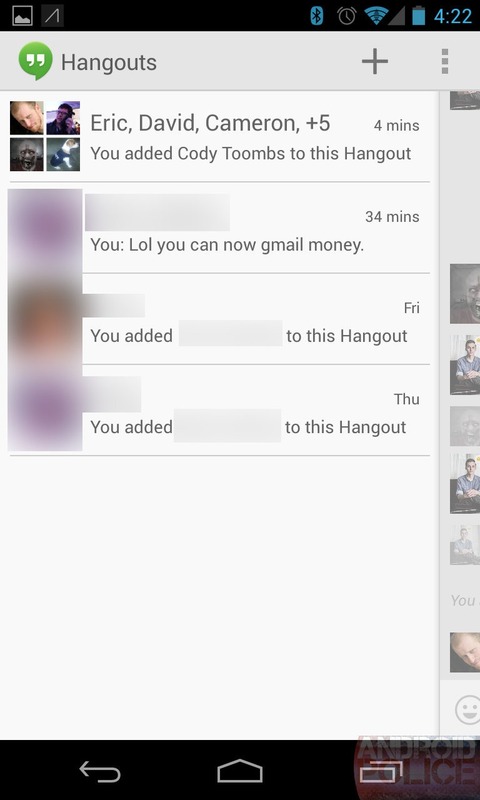 In some ways, it was better than the Hangouts platform that replaced it. Talk had a real desktop app, and if you didn't like it, you could use any XMPP client to communicate. You could even send messages to users on other XMPP-powered services - a huge difference from today's proprietary messaging services. For Google Talk users, Product Manager Mayur Kamat has some good news and some bad news. The bad news is that the chat service's desktop client for Windows will be deprecated on February 23, 2015 as the team continues to focus on making Hangouts better. Of course that leaves the question of third-party clients like Pidgin, Trillian, etc. The good news is, as Kamat notes, that compatible apps will still continue to work. Users of Google Voice have long called for the company to pay more attention to the seemingly forgotten service for quite some time. Unfortunately, they may be getting more than they were hoping for. While many people are thrilled to hear Voice will finally support MMS and become a part of Hangouts in early 2014, Google is also planning to close up shop for all 3rd-party apps that relied on the service for free texting and VoIP calling. Sadly, these apps will cease to function on May 15, 2014. Google plans to shut down the XMPP interface currently used by alternative Voice apps. The coveted update may take a while to reach you, considering it hasn't even started officially rolling yet. Luckily, we have the APK from the Nexus 5 factory image you can download and safely install manually. 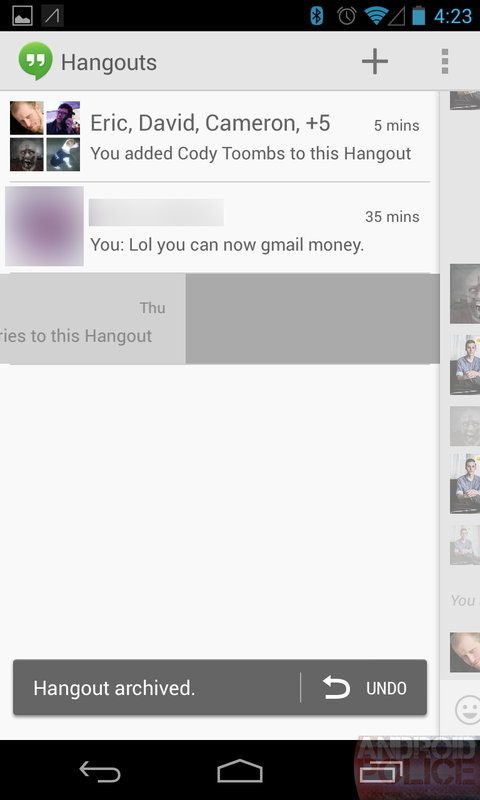 Google may've said during Wednesday's keynote that it planned to roll out Hangouts to Gmail users gradually, but if you just can't wait to integrate the new messaging service into your e-mail dashboard, there's a way to gain early access. Simply log into Gmail, ensure you've signed into Google Talk (if you're having trouble enabling Talk, try installing the browser plugin), click on the thumbnail associated with your account in the Talk sidebar, and select the "Try the new Hangouts" option. If you don't see the option right now, you can trick Gmail into giving up the goods by clearing your cache and cookies. This is the "front page" of Hangouts. Calling this an "I/O Preview," sounds a little too certain. 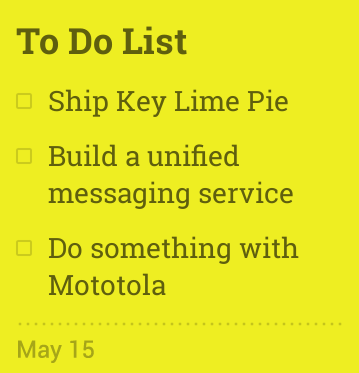 I'm not predicting everything here will come out at I/O, this is just a list of everything we know Google is working on - their "To-Do" list. Just like any to-do list, Google could cross something off and release it, or endlessly procrastinate, or completely cancel something. Google Talk is one of my favorite parts about Android. 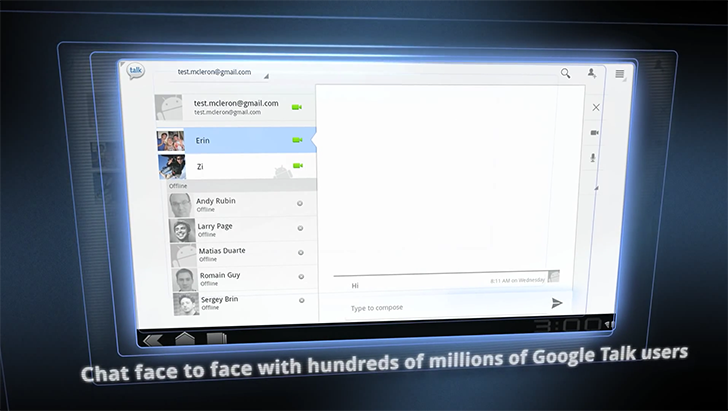 If you have other Googly friends, between Android, Gmail, and G+, they are almost always available. 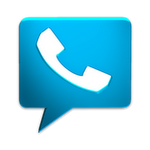 In Android 2.3.4, Google Talk got a big upgrade in the form of voice and video chat. There will be many similarities to the to the Ice Cream Sandwich version of Gmail, which was the subject of Part 1 of this series. So go read about it or risk falling behind the rest of the class. Just like that article, Gingerbread is on the left, Ice Cream Sandwich is on the right. The ICS pictures are all from the emulator, which has the occasional rendering issue, so don't judge too harshly.